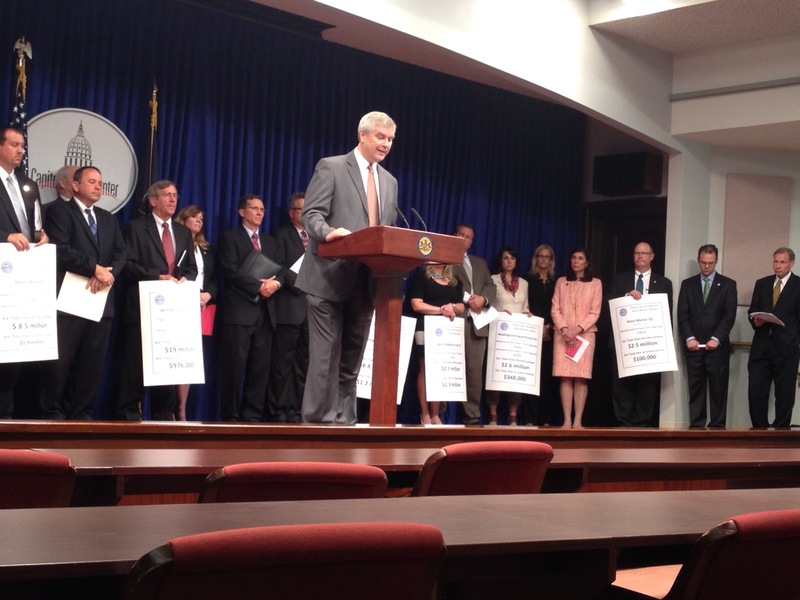 AIA Pennsylvania joined Senator Eichelberger, Representative Grove, the PA School Boards Association and PA Association of School Business Officials today at a press conference in support of reforming the PlanCon school construction process. In addition, the prior moratorium and proposed moratorium on PlanCon funding is hurting architecture firms. School construction is a major player in the economy of the United States and Pennsylvania. More than $14 billion was spent in the U.S. on school construction last year according to a report from School Planning and Management’s 20th Annual School Construction Report. “The classroom environment can affect a child’s academic progress over a year by as much as 25%. If school construction is funded properly, it will create jobs for contractors, material manufacturers and supplier, architects, engineers, surveyors, etc. The ripple effect through the economy is significant,” said Knouse. We encourage the entire legislature to pass Senate Bill 694 and House Bill 210 and implore Governor Wolf to sign these bills into law if they are brought to his desk. 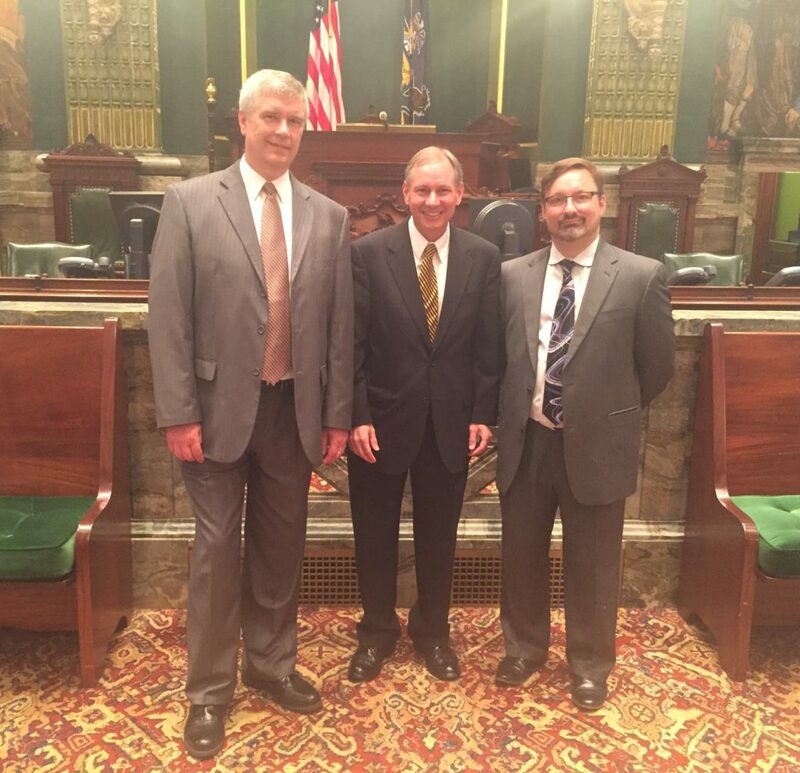 “This legislation will help students, schools, businesses and taxpayers by helping to keep costs low for school construction,” said Vern McKissick, AIA.